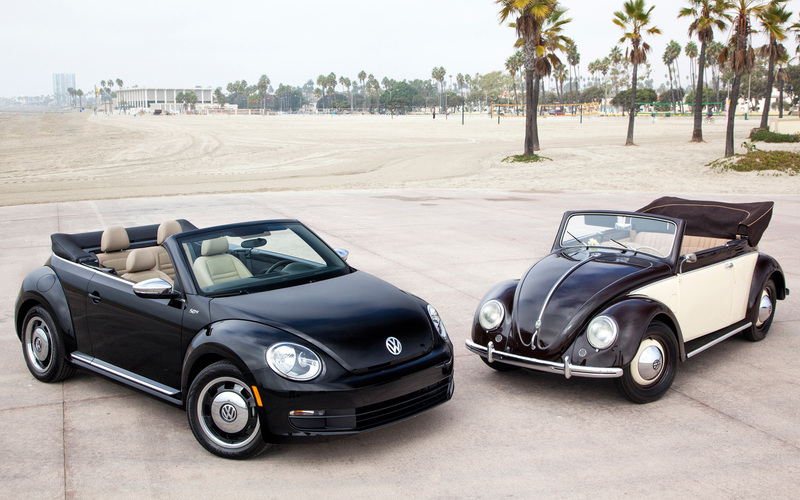 Few cars are pure joy to drive, yet cost less than $30,000. I’d put the Mazda Miata at the top of those, and a few models of the Mini Cooper would slot into this price range. 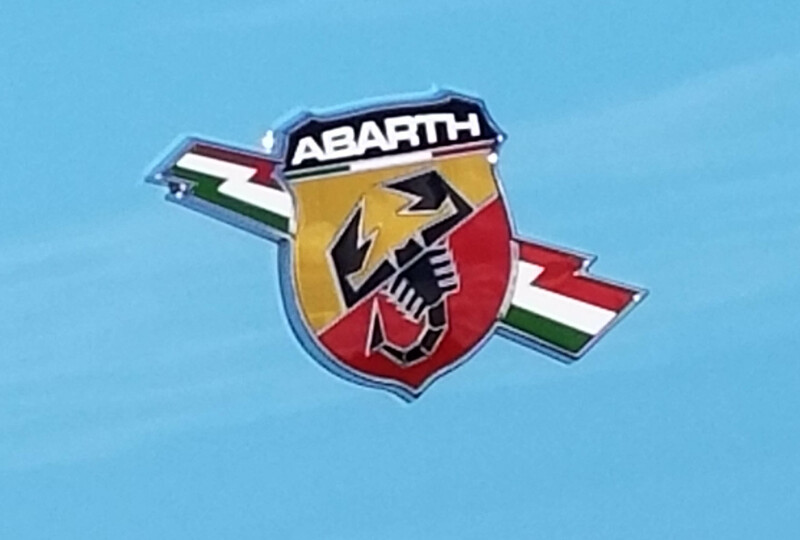 But Fiat’s 500 Abarth is a relative newcomer and blows the others away on price. 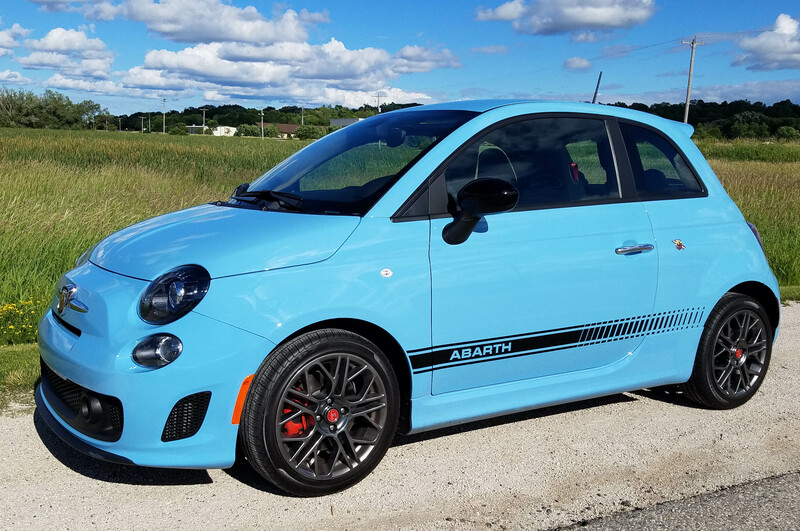 The Abarth starts at about $21 grand, including delivery, and that’s down about $2,500 from a year ago. That doesn’t happen often! There’s no getting around the fact that the Fiat 500 is a tiny car. It rides on just a 90.6-inch wheelbase, is a wee 144.4 inches long and weighs just more than 2,500 lbs. But in its size, like the Miata, lies the Fiat’s fun, nimbleness and, well, joy. 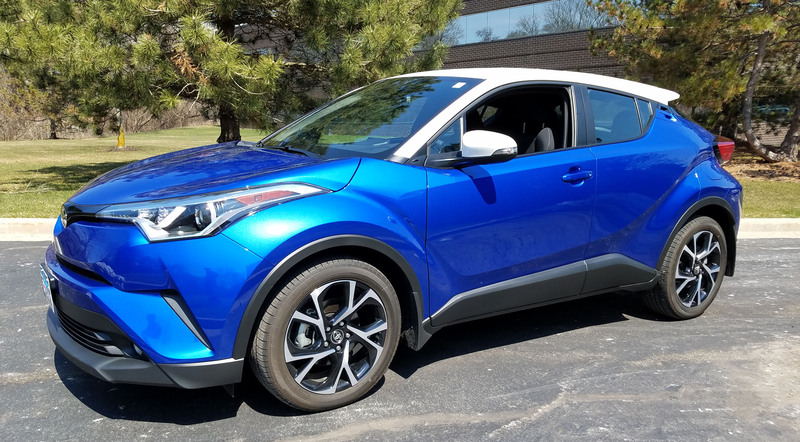 You can toss this around, zip through corners, slip into seemingly impossible parking spots and flat out drive it like you stole it. It’s fun. This is a driver’s car. You smile a lot in a 500. In its lower lines, the Pop and Lounge models, the 500 carries a mild 1.4-liter Multi-Air I4 that generates just 101 horsepower, leading to superb gas mileage. 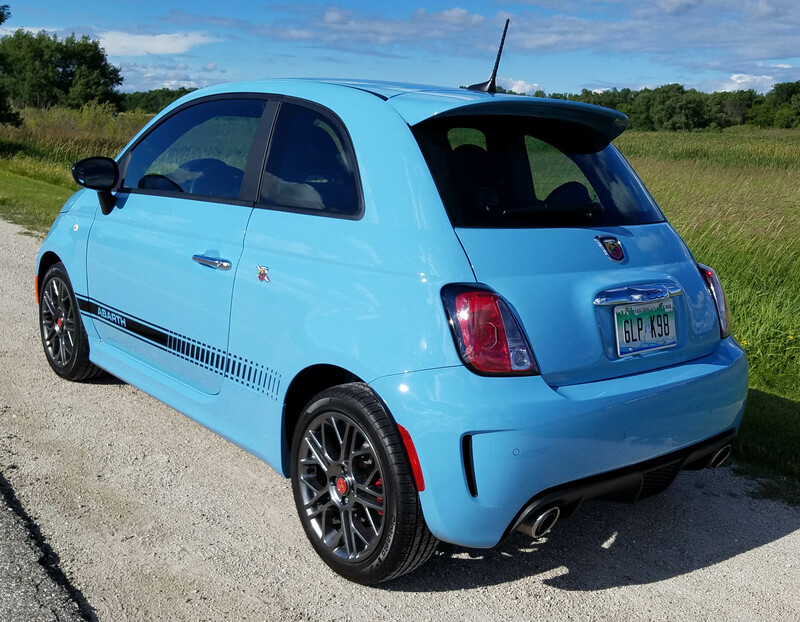 Well, the racier Abarth, which Fiat says is pronounced AH-bart, bumps that up substantially to 160 horses thanks to dual intercoolers, turbos. Now you have some pop when you slip the 5-speed manual through the gears. Second and third punch up the torque (a 170 rating) and by fourth you feel like you’ve had a little mini vacation. Five speeds keeps it all simple, but adding a sixth would allow its small engine to bring the revs down and quiet the interior some. 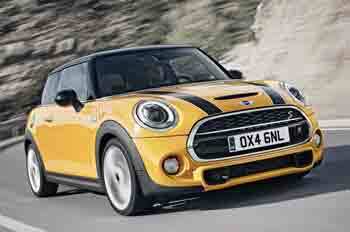 MINI has a deceptively simple message for its potential buyers, Let’s Motor! Yet it delivers exactly that, simple motoring fun. 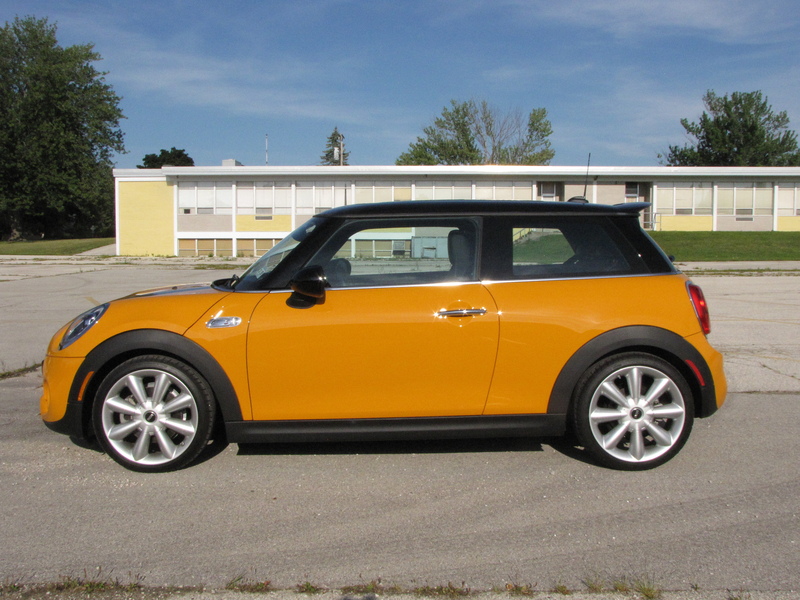 A new, larger MINI was reintroduced in 2002 by BMW, the former Mini was a British make. 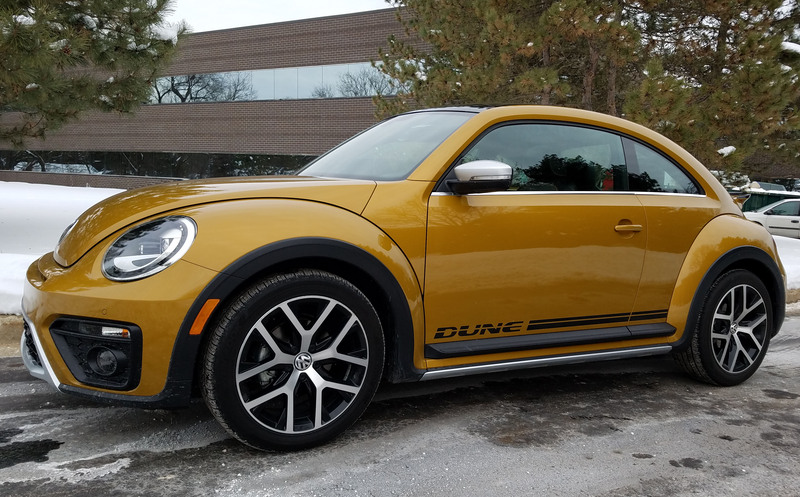 Now, a dozen model years later, its third and again larger (about 5 inches nose to tail) iteration, continues to be a cute boxy hardtop that is a blast to drive. This is especially true of the tested Volcanic Orange S version with a new 2.0-liter twin-turbo 4-cylinder engine. That smooth running BMW-designed powerplant belts out 189 horsepower and features a torque rating of 207. It kicks you in the seat of the pants, especially when the car is set to Sport mode. The S model offers three driving settings, Eco that reduces power and saves fuel (MINI-malizing they call it), Mid (perfectly fine for nearly all driving) and Sport (booster rocket power). You simply turn a ring on the base of the shift lever housing and once it hits Sport you know it. Power is instantaneous. The MINI zips forward like a race horse set free from a starting gate. Sport also firms up the suspension, which might be needed on the race track, but only further intensifies the rump thumping you already get in the MINI on the street. Despite the 2014 model’s wheelbase growing 1.1 inches, the ride is no smoother and the shock damping feels almost non-existent in the Sport setting. The Mid setting eases shock stiffness some, as it does the horsepower and torque. But MINI still hustles away from stoplights quickly and power is near instant with the twin-turbo booster set at the Mid, default, level. Go Eco and you’ll feel the car ease away from a stop, but power is substantially reduced. This may work well in jammed city driving where you just crawl from stoplight to stoplight. Here in Wisconsin spring can’t come fast enough. It’s actually what I would consider balmy at 26 degrees as I write this blog entry. Woohoo, break out the shorts. 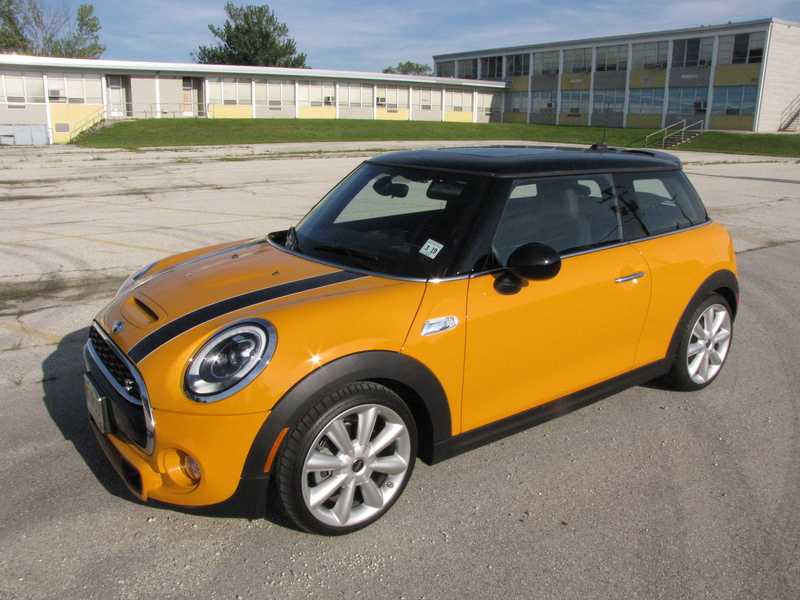 I like the Mini brand because they remain dedicated to their core product while finding new ways to extend the brand. Read more here about pricing for the 3rd gen hardtop and what else is new.